The Marksman is a fixed lens, portable, battery powered, wireless spotting scope that can be viewed from a phone or tablet. This spotting camera has a range of 300 yards and a run time of 12 + hours. TARGETVISION is the perfect companion for competitive shooters, and people who are looking for a more interactive and entertaining shooting experience. This unit is able to clearly see .17 caliber bullet holes. 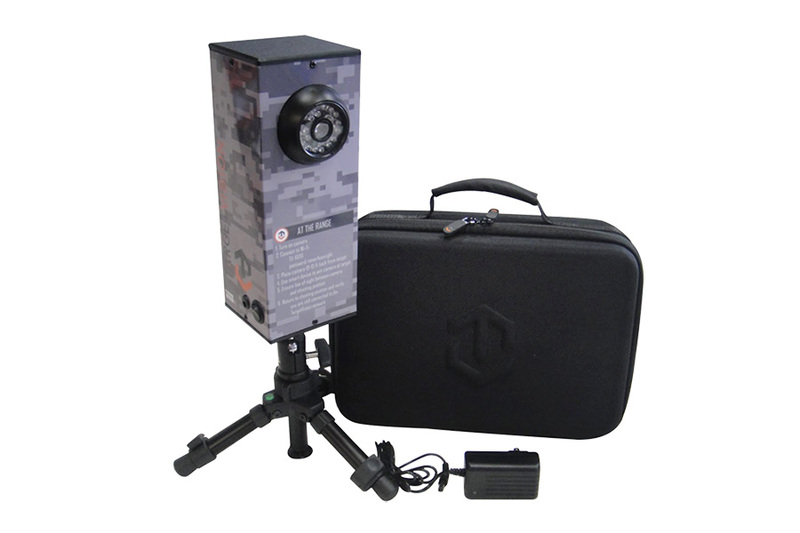 The short range TARGETVISION consists of a camera and tripod. The camera sits down range about 10-15 feet from the target.